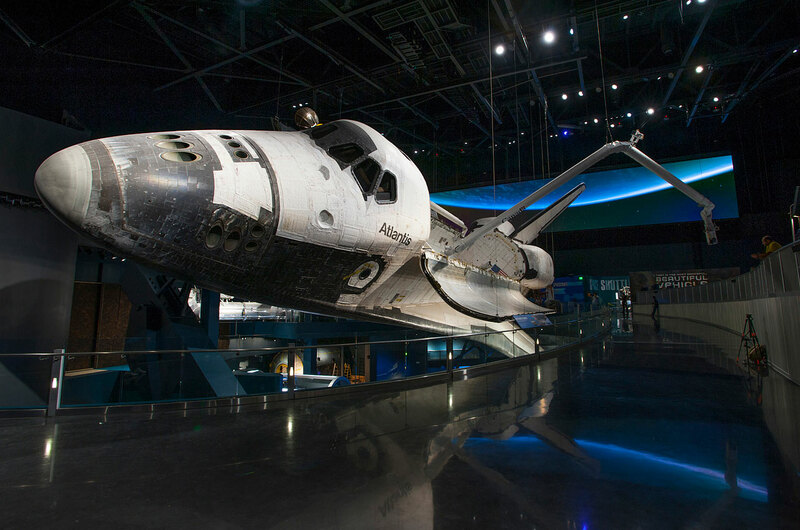 — Space shuttle Atlantis, the final orbiter among NASA's winged fleet to fly into space, launched on its new mission Saturday (June 29) as the centerpiece of a $100 million tourist attraction in Florida. 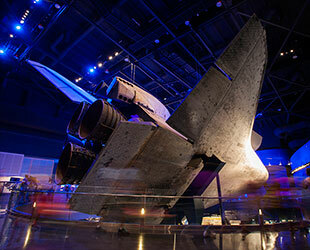 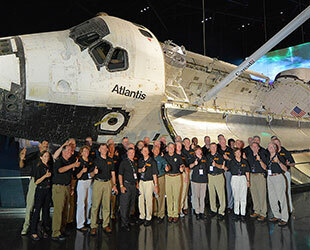 Astronauts from each of Atlantis' 33 flights joined officials at NASA's Kennedy Space Center Visitor Complex for the morning ceremony marking the opening of "Space Shuttle Atlantis," a 90,000-square foot (8360 square meter) exhibit dedicated to the retired spacecraft. 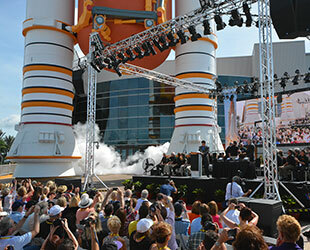 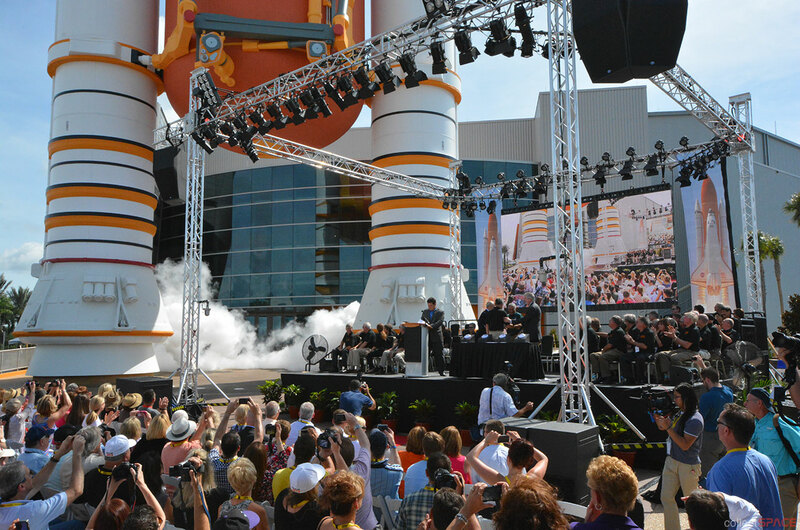 After a countdown from "T-minus 10," smoke billowed out from behind replica solid rocket boosters, symbolizing the "launch" of the new display. 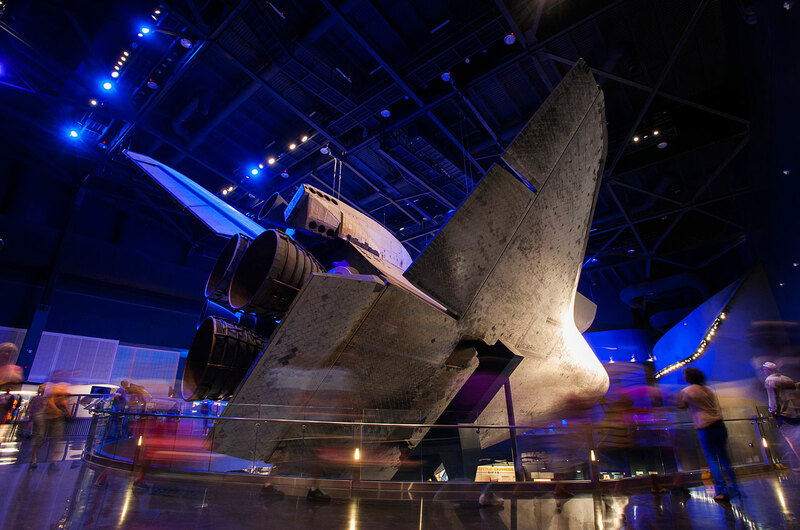 "There's no where else in the world that you will be able to see an orbiter that looks the way it looks when it's in flight in space," Bolden said. 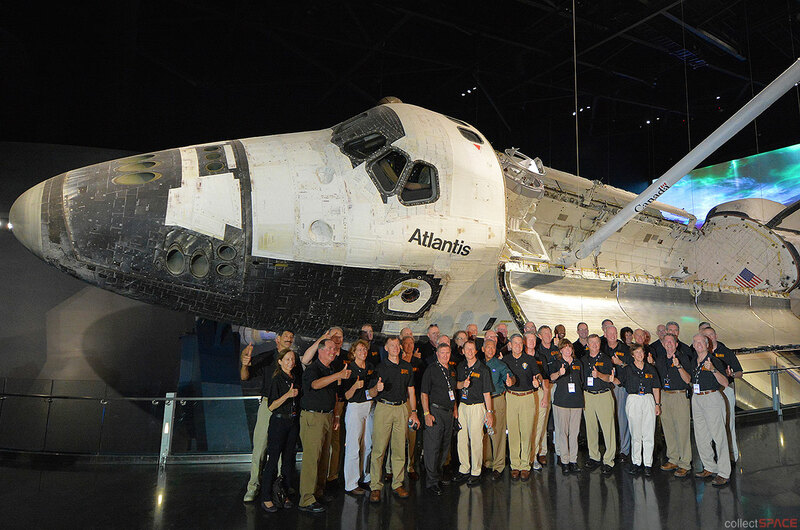 "That is a very, very, very unique opportunity to see it in a unique configuration." 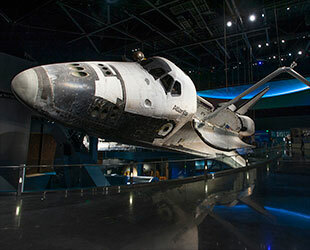 The attraction includes replica International Space Station (ISS) modules, a full-size high-fidelity model of the Hubble Space Telescope, four multimedia, cinematic productions and more than 60 interactive activities that invite guests to "be the astronaut."